With a well defined brand and clear values you can start to communicate and engage with current and potential clients, without it you just have a campaign. Your brand will last longer than your advertising ever can. 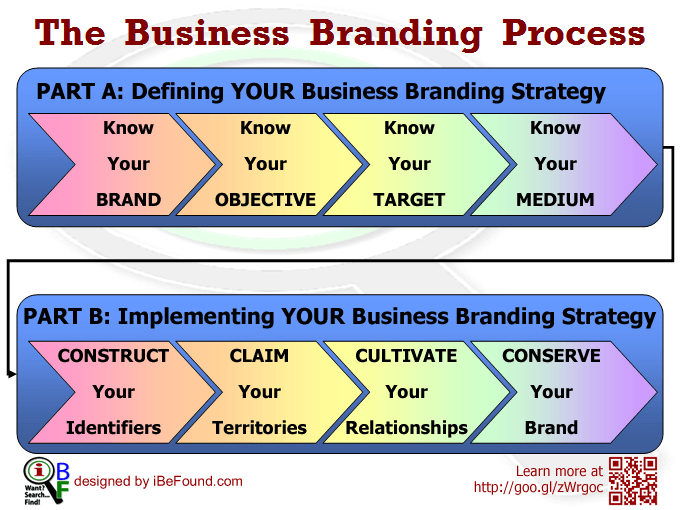 The process of branding yourself or your business consists of 2 main parts with four sub-steps each. The image below illustrates this process from a business branding perspective but the steps are very much the same from a personal branding perspective. Here at iBeFound International, we focus on the implementation part of this process. Our brand design services are geared towards helping professional service providers and business owners CONSTRUCT their brand identifiers, while our other services take care of the other three sub-steps of implementation..
From a personal perspective or a business perspective, your brand identifiers are those components that will EVENTUALLY become synonymous with your brand. They are those elements that people associate with your brand. This association may be a direct result of your efforts or an indirect by-product of experiences they have had with you or your business. 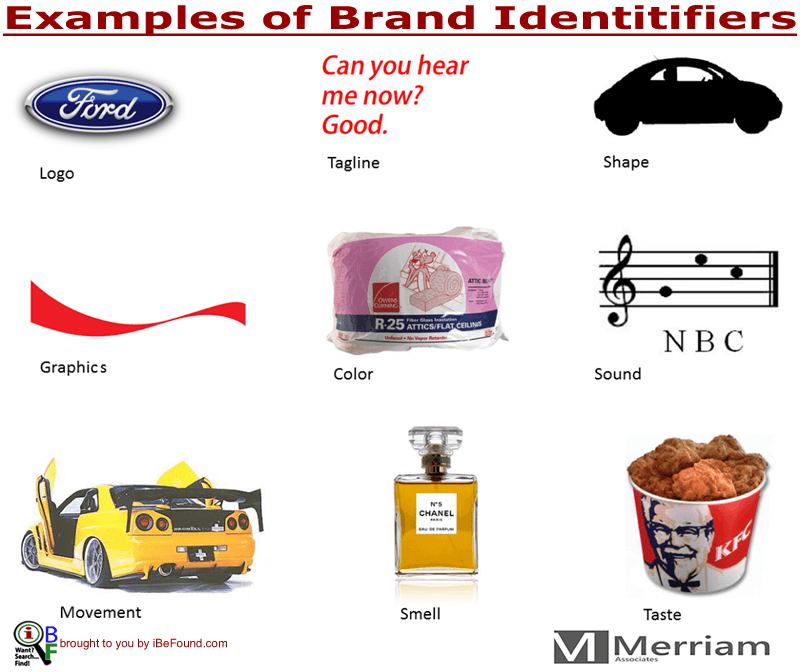 Brand identifiers can be tangible or intangible. They can be experienced on a physical level with one or more of our senses or an emotional or intellectual level. The most basic brand identifiers are a name and a logo. The birth of the concept that grew to become iBeFound International Ltd was quickly followed by the devising of its name and the development of its logo. From these foundational elements, we went on to craft its tagline, icon, avatar, business card, letterhead, website colour scheme, etc. Now, we want to help you walk through a similar process of defining and constructing YOUR brand identifiers.